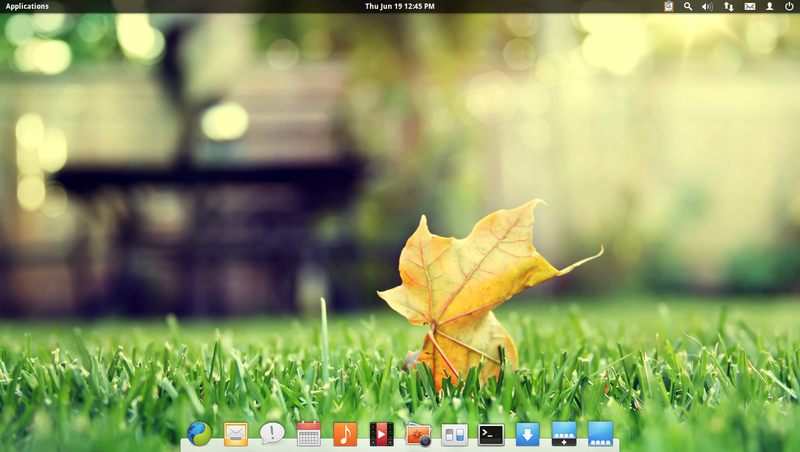 Elementary OS is another very cool linux distro based on Ubuntu. It has an intense focus on visual design and user experience. It comes with its own desktop environment called Pantheon that is designed to resemble mac. In this post we are going to tweak elementary OS right after a fresh installation and also install some essential apps to fully load the desktop for the best experience. Launch the terminal by pressing Ctrl+Alt+T. Type in the following command and hit enter. It shall launch the dialog box for configuring software sources. Go to the tab named "Other software" and check all boxes named "Canonical Partners" and "Independent". Next, update the package cache and install all upgrades for all applications. Run the following commands. After the upgrade completes, reboot the system. These are the original package management tools that work better and faster than the Software Center. 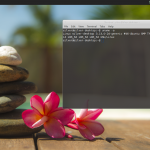 Elementary Tweaks is a tool that allows you to customize the elementary desktop further. 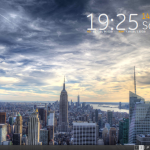 It can be used to configure the themes, icons, dock, window buttons, desktop effects etc. It comes from a separate ppa. After installation logout and login back, and you should see a search icon in the wingpanel system tray. Elementary OS comes with the Midori browser which is a lightweight browser but has lesser features than Firefox or Chrome. Also its difficult to get flash to work on 64bit installation of elementary. For firefox, you can also install the Elementary firefox theme, to make firefox look visually similar to elementary. The following will install the flash plugin for Firefox and Chromium. Google Chrome has flash player inbuilt. VLC is one of the best media players for most of your video and audio formats. Grab it from the Software Center or run the following command from the terminal. Extra codecs allow for decoding and playback of additional multimedia file formats that are otherwise protected by patent laws in some countries. To ensure support for as many archive formats as possible, install the following packages. This includes support for creating and extracting rar archives. Skype is available in the canonical partner repository. The version in the respository might be outdated. To get the latest version, download the Ubuntu deb installer from the skype website and install it using gdebi. There is another cloud storage service named Copy that has a native Linux client for syncing files easily. Check out the website at copy.com. Elementary does install a torrent client on its own. Some of the torrent clients available in the software repository include Transmission, QBittorrent and Deluge. If you frequently download files, specially large ones then uget is a good download manager to manage all the downloads in one place. This is an option tool, if you do not do any kind of graphics editing. Empathy is installed by default. However Pidgin has been a very popular multi protocol chat client. So if you are pidgin user then install it. A clipboard manager keeps a history of items that you copy paste here and there. It can be accessed from the system tray. Some of the gtk based clipboard managers are glipper, clipit, diodon etc. Guake is a terminal that shows up on the press of a key and hides away when out of focus. Its a handy tool to access the terminal quickly without having to launch it using an icon or menu. If you are using nvidia or ati based graphics cards or broadcom wifi card, then install the proprietory drivers available from the vendor. The drivers perform better than the open source versions and get the best hardware performance. Launch jockey ( System Settings > Additional Drivers ) to check if your system needs to install any additional drivers. The java browser plugins enables browsers like Firefox to play java applets. Note that Chrome now uses the Pepper api for plugin and the above plugin will not work with Chrome. For the time being there is no Pepper based implementation of java runtime for Chrome. Although the same applies for Chromium as well, but since the version of Chromium is outdated in the elementary software repository, the icedtea java runtime will still work. Startup applications can be configured from System Settings > Startup Applications. There are lots of applications/services that are configured for autostart, but not visible in the startup applications list. To make them visible run the following command. Once they are visible, it is easy to turn them off if needed. Go into the partition or drive you wish to make writale. Right click > Properties > More , and give Write privilege all users, that is Owner, Group and Everyone. This shall make the partition writable and you would not need to use sudo everytime. If you are looking for more applications for a specific task or just to waste your disk space and network bandwidth, then here is a small list of some good ones that are available from the Software Center. how do i install grive? the same as in ubuntu? THIS DOES NOT WORK ON LUNA. There is no apt-add-repository command in Luna…. It would be better if you removed the $ sign from the codes, because it’s already there in the terminal and forces us to manually select each line instead of double clicking and selecting. Thank you. im using asus a43sa , 2gb amd radeon HD 6730m , after install driver from additional driver my screen goes black, backlid died but system working fine :( how to fix ? Very handy. I’m curious: after installing aptitude, why keep using apt-get for the subsequent commands? Simply big thank you! Thanks for this useful and priceless page and steps. I were searching to install all the missing codecs to be able to watch movies and anime later in my system. So now that I have done these installs (not all of them) when I boot into the OS I have lost my pretty “e” logo and have an old Ubuntu style login. What happened? Hi, to install flash plugin in Firefox, you need enter the following command: sudo apt-get install flashplugin-installer. Thank you for this helpful post. Thanks for the awesome list.. Elementary OS is listed as being “Canadian” and I am not quite sue why that is…can somebody enlighten me? I have a problem here. Why downloading speed is much slower than in windows? I use DownThemAll extension for firefox to speed up my downloads. Network adapter settings at driver level? you could do all of this in one swoop with a script. I made one that includes what I think are the important steps… just go to a terminal and mkdir ~/bin/ and paste this into a text file there lets say you call it “that_file” then in the terminal cd to ~/bin/ and chmod u+x that_file, reboot and type “that_file” into terminal and it will run through these steps. reboot again when you are done. This system is a nice change in cost and functionality if you’ve been used to working on Mac OS Snow Leopard. I love it. A sophisticated text editor is missing. My recommendation is to get Sublime Text from the official website. Atom is getting stronger day by day, the best thing of all is free. Bluefish is the way to go because it tells you your options as you go and gives you a sidepanel where you can browse your files within the editor. Works great with file manager FTP. I spent the weekend working with the Beta version and I must say I am impressed. Normally I use Mint 17 with Cinnamon because I like the interface and how clean and elegant it looks. But I’ve been looking for another distro that I can recommend to others that is easy to use other than Mint. 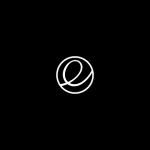 After installing Elementary Freya, I really feel that this version is very promising and in some ways is better than the Cinnamon desktop. But for the time being though, I’ll continue to use Mint since this has always been my go to operating system for several years but I will continue to follow the on-going progress of Elementary and keep my beta version updated and look forward to future improvements. I agree 100%! The only thing i don’t like is the fact that you have to install many thing by hand your self… thar doesn’t happen with mint… for the most part, anyway. It’s a very beautiful interface, elegant, but lacks some functionalities. Don’t get me wrong… i love it, but for heavy usage, i still go with mint. Rock solid, reliable. Install and you’re good to go. I would be a much first time linus user friendly if it was just more complete after fresh installation. Dude, I installed this and now I have a very sleek CHINESE office suite. oouldn’t find how to translate it. 24 if you count your comment. WHAT? These tips are really helpful! Thank you, that’s great information. I only installed ElementaryOD yesterday nad know nothing about Linux, so it’s a great help (I think!). There’s a feature in Voyager Linux that I’ve never seen in any other distro. When dealing with iso image files, under the right click menu there’s an “Open with” entry “Open with ‘Disk Image Mounter’. This mounts the iso and allows you to browse/run the disk without having to either burn it first or muck about with creating a folder and then doing the mount -o loop, thing. It’s pretty much for this reason that I’m using Voyager at the moment and not eOS. Do any of the archiving apps you list add this function? Ah you know it’s getting crowded out here in the world of Linux. is getting, well, overblown. 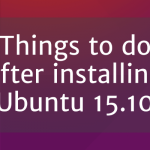 Especially the Ubuntu ones…. Looks like a good guide overall, Bookmarked, gonna compare against my personal Google Doc script for 0.2 Luna Installs.